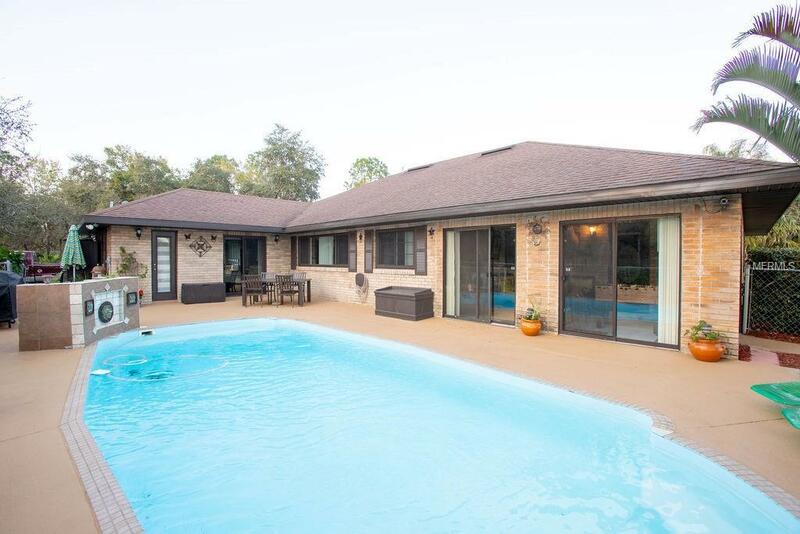 This beautiful LAKE FRONT, custom POOL home offers everything from gorgeous PRIVATE views to a floor plan designed for ENTERTAINING. The immaculately-kept four-bedroom, three-bathroom home sits on almost five acres, zoned for horses with serene lake views. 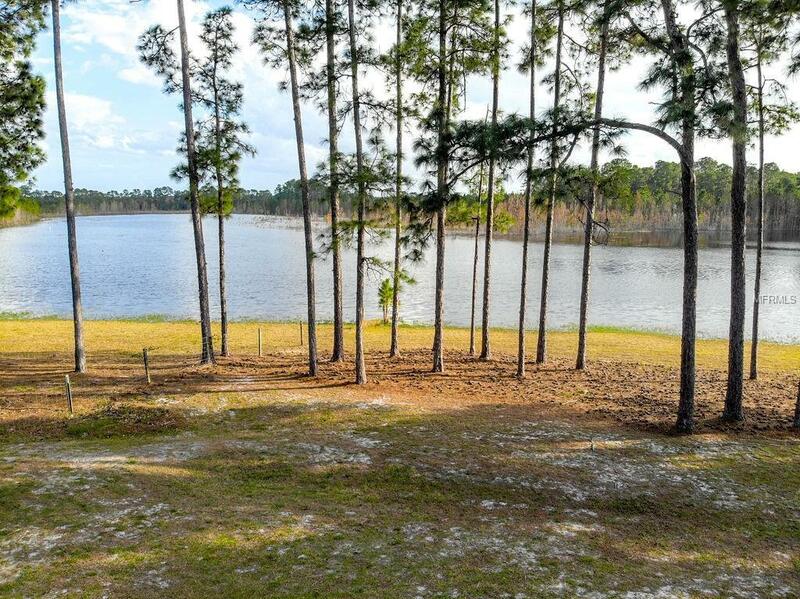 The property offers an RV and boat PARKING PAD and the pavered PICNIC AREA is the perfect spot for toasting marshmallows or grilling steaks on the BRICK FIRE PIT. The MAJESTIC OAKS CANOPY the property and offer plenty of shade along the lake shore. 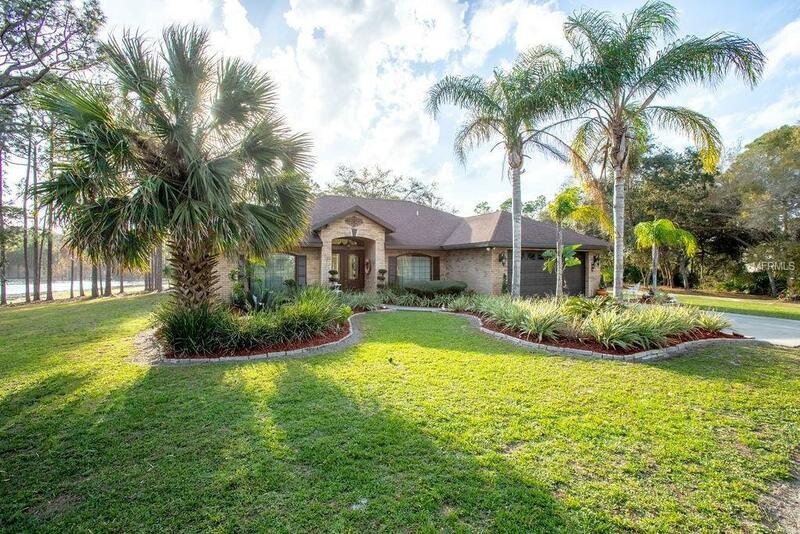 The exquisite LANDSCAPING is full and lush, captivating the essence of rustic, Florida design. 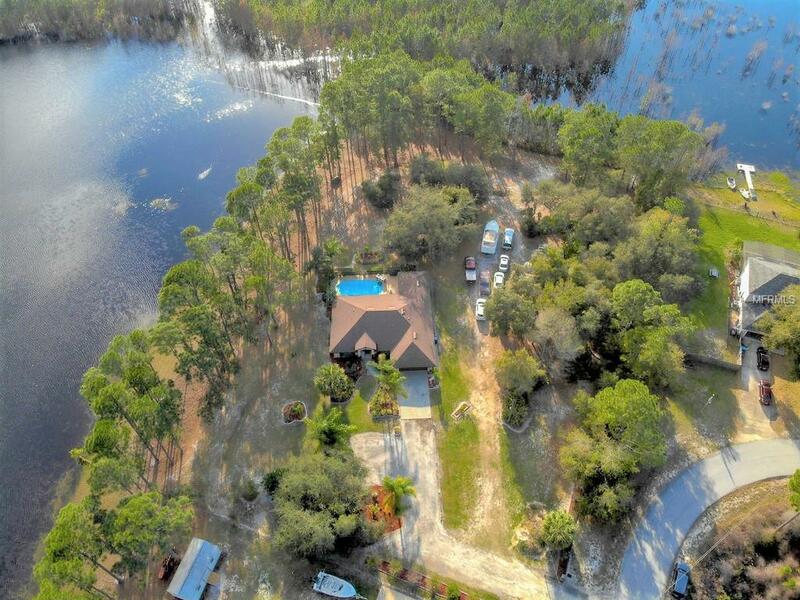 ZONED FOR HORSES, whether you are fishing in the lake or tanning by the pool, this property is the hidden gem you've been waiting for. The interior of the home offers rich dark WOOD FLOORS, GRANITE counters, real STONE accents, gas burning FIREPLACE, split floor plan, and guest suite/ second master with a private bathroom. Both master bedrooms offer private access to the pool area. If safety is a priority, worry no more. The home is already installed with a full exterior surveillance system and a beautiful iron fence.